It was easy to adjust the ribbon a little here and there to make a nice shape. I love how this wreath came out, and it only took me about 15 minutes to make. It looks great on the door, and will be a wonderful addition to my Christmas decorations.... While ribbons and bows are used more often for Christmas and winter holiday wreaths, a bow might be just the right accent for your fall wreath-making project. If the wreath you're creating is minimalist or rustic, a bow probably isn't necessary. But if the color is right�like this see-though wired bow with copper and black metallic dots�then go for the bow. This craft project is how to decorate a grapevine wreath but, if you want to start by making your own wreath first see this video tutorial: how to make your own grapevine wreath then follow the steps below. Or you can just pick one up at Michaels Crafts like I did. I purchased a 18?/20? wreath for about $4.95-6.95 which was a great deal! They have many sizes to pick from. You can probably... "Burlap Wreath - Chevron Burlap Wreath - Shabby Chic Burlap Wreath - Burlap Wreath with Bow - Summer Wreath - Fall Wreath - Yellow Wreath" "A wreath is the most popular decoration for outdoors, it�s easy to buy or to make. This wreath is perfect for Fall and Thanksgiving! It measures between 22 and 23 inches. It is made from Brown, Cream and Burnt Orange Jute Burlap. how to get oysters to make pearls Make sure that your wreath form is laying flat on your work surface for this part, and if you want to hide the ornament tops, just rotate the ornaments so that the tops are pointed down toward the table as you attach them to the wreath form (this will be the back of your wreath when it�s finished). 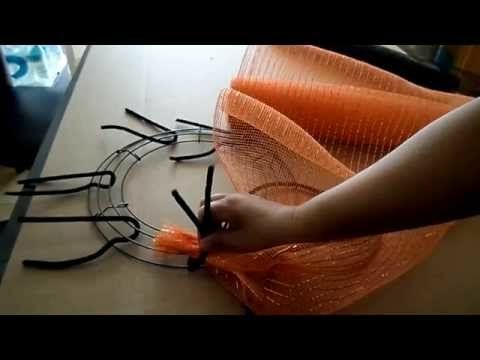 Make sure that your wreath form is laying flat on your work surface for this part, and if you want to hide the ornament tops, just rotate the ornaments so that the tops are pointed down toward the table as you attach them to the wreath form (this will be the back of your wreath when it�s finished). 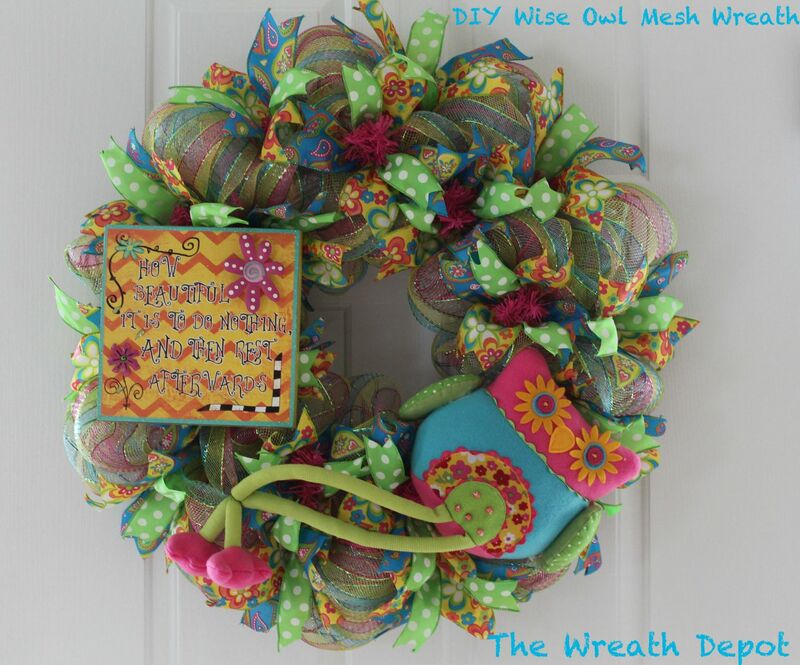 You can make these loops big or small, it just depends on how you want your wreath to look. I bunched my ribbon up every 4 inches or so. Do this all the way around the outside rings of the wreath until you make it back to your starting point.